I love Ho Chi Minh City. I love the laid back vibe, the strong coffee, the cheap local food and really affordable and delicious French food. I like that there is nothing much to do or see (in terms of tourist attractions). Roaming the streets aimlessly and chilling out at cafes is my kinda traveling. If all you want to do is escape for a bit, 48 hours is just about perfect for HCMC or Saigon as most affectionately know it as (provided you skip the touristy Cu Chi Tunnel). So here's my perfect Saigon weekend escapade itinerary. Here's the flight plan. Jetstar has the best timing to HCMC (budget is perfectly fine for a 2h flight). Depart Friday night out of SIN at 7.35pm and take the return on Sunday night 9.15pm flight home. 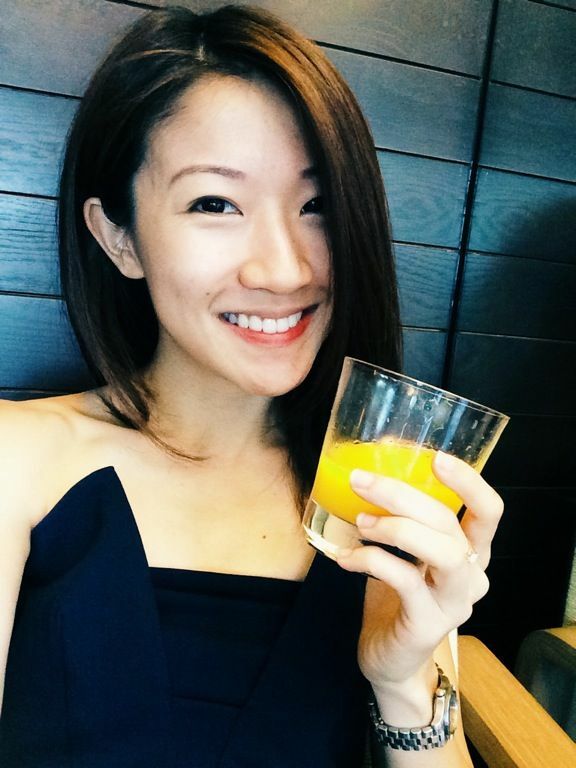 You'll reach Singapore slightly past midnight but it's perfectly ok! Nothing like a strong coffee to keep you up on Monday right? 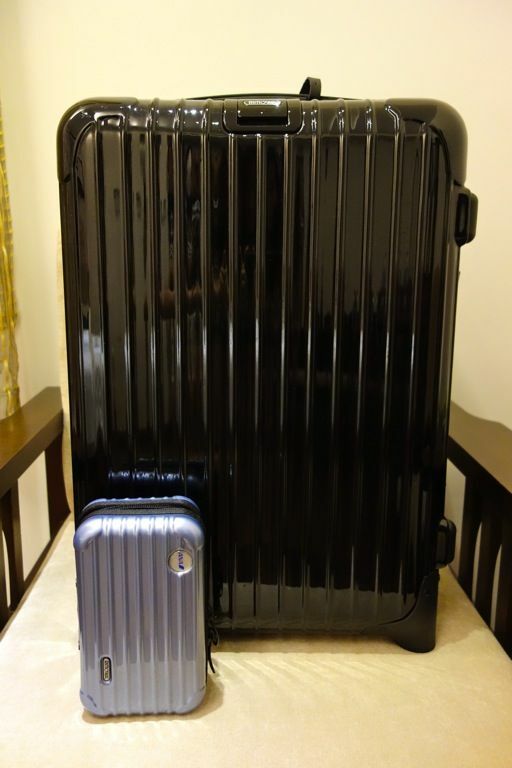 Our choice of luggage- Rimowa and rimowa mini! Pack light. You may need to leave from the office. You only need a hand carry since there's not much shopping to be done (unless you're interested in knockoffs at Ben Thanh Market, which i disapprove.). Check into your choice of hotel in District 1, a 30min cab ride away from the airport. The backpackers' area near the Market has many cheap but comfortable options e.g. Beautiful Saigon (about 25usd/night) and the likes. Grand Silverland Spa is also not bad too (love their freshly prepared pho at breakfast). Or if you'd rather the Dong Khoi area, Oscar Saigon is comfortable and they have yummy croissants at breakfast. And of course there are the more expensive ones like Park Hyatt, InterContinental, Nikko etc. Put down the bags and head out for supper. 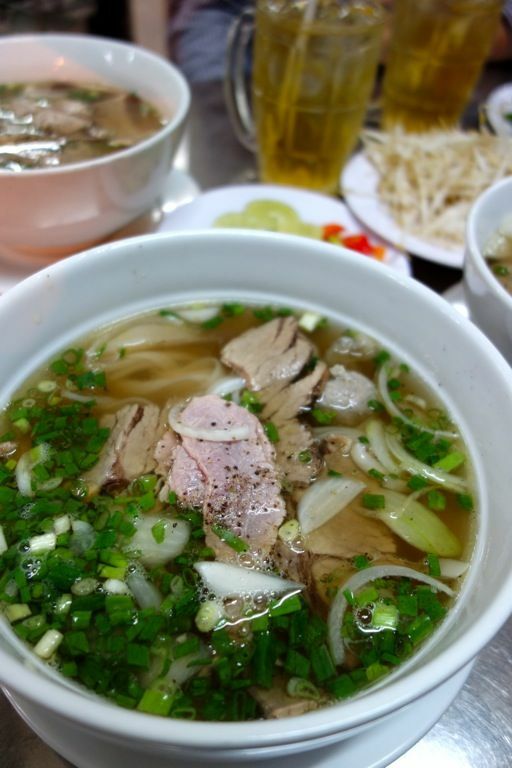 Tuck into a bowl of piping hot and savory Pho Bo at Pho Quynh 323 Pham Ngu Lao, an unpretentious hawker stall that is recommended by the locals. I find it better than the chain pho stores e.g. Pho 24, Pho 2000 etc. For a post meal dessert, head over to the super cool Five Boy Number One 84 Bui Vien Street, in the Pham Ngu Lao backpacker area. Only fresh fruit juice here, with no water or sweetener used. 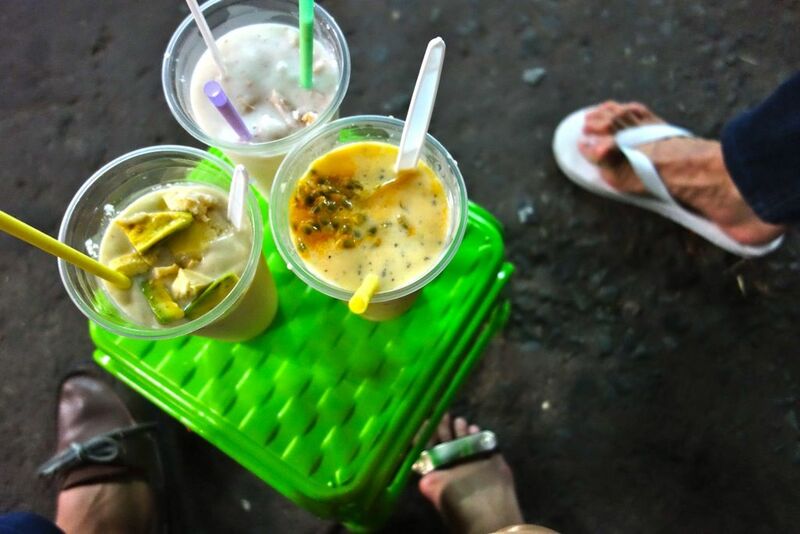 Each huge cup only costs 15-30k VND (for convenience prices are all in kVND). Squat on stools along the busy alleyway and be entertained by the many interesting characters (you'll know when you get there). The Durian and Avocado shake is superbly rich and creamy. Wash it down with the refreshing Mangosteen after. Saturday morning rise and shine! 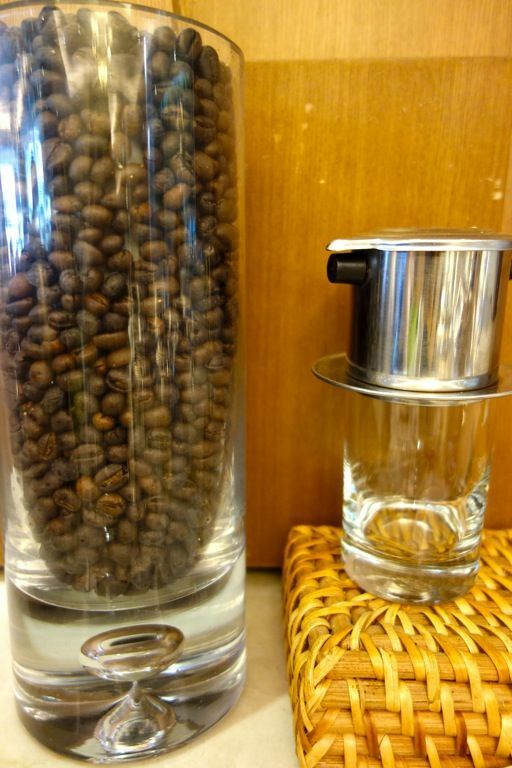 Grab a Ca Phe Sua Da at breakfast, a potent Vietnamese coffee with condensed milk which will shock you into existence. Sozo Cafe 176 Bui Vien, is a good place to grab a coffee and a pastry or cake to go along with it (read review here). Explore the Bui Vien area a bit and then walk over to the Ho Chi Minh Fine Arts Museum for an art education. Time for lunch! Do at least 1 traditional, home cooked Vietnamese meal and there's no where better than Cuc Gach Quan 10 Đặng Tất, Tân Định (Take a cab). 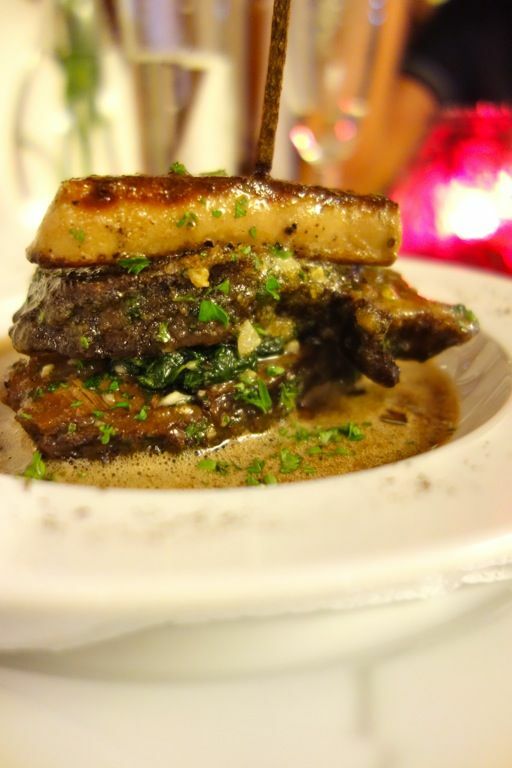 Cuc Gach offers fresh countryside cooking in a remodeled French Colonial house, which is a piece of art in itself. Go with the recommendations (I had a headache deciding what to order from the extensive menu). 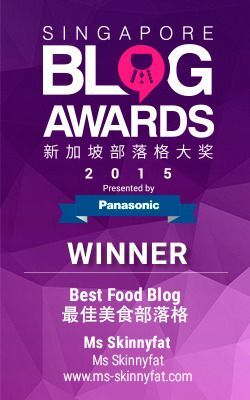 The pork stew and lemongrass bean curd were delish! For dinner, make sure you make a reservation. 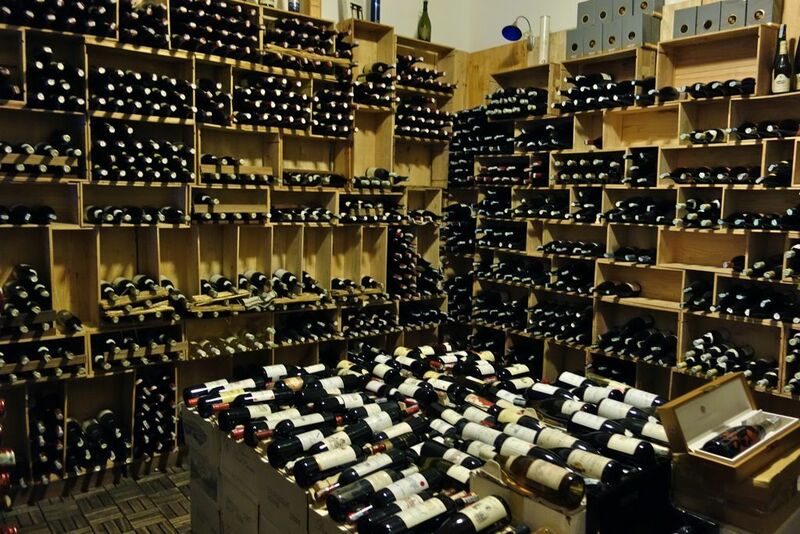 Spend some time exploring the house. Review to be up soon! 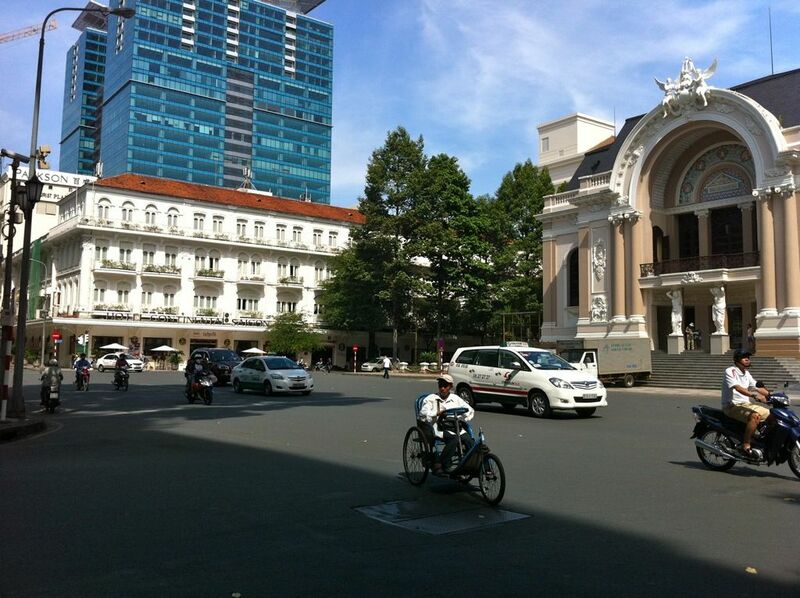 Head to the War Remnants Museum 28 Võ Văn Tần (7.30am-12pm, 1.30-5pm). Even if you're not a sightseeing person, you have to make time for this one. The somewhat one sided portrayal of the Vietnam war shows the untold brutal story of the war with the striking collection of photographs. The prison exhibit also scared the hell outta me, no thanks to S.
Vietnam was colonised by the French before and thus, bloody history aside, they have really decent and affordable French food (not by Viet standards, ranging 80V onwards). Make dinner a decadent one at Le Jardin 31 Thai Van Lung an alfresco secret garden dining spot or at La Fourchetta 9 D Ngo Duc Ke (both in District 1) for a homey and unpretentious meal. Most of the fancy restaurants are in District 2, which is about a 20mins cab ride away. 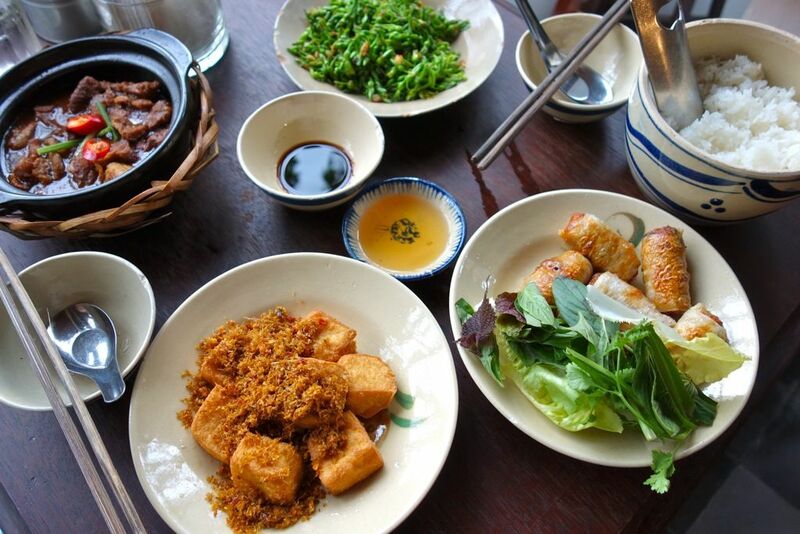 Top picks include La Villa 140 Ngo Quang Huy St. and Trois Gourmands 18 Tong Huu Dinh. Trois Gourmands does super satisfying set meals priced at 35usd onwards. Do not miss their cheese platter! They make their own cheeses and we were served 7 full sized portions which they encouraged us to pack home. For drinks in the same area, head over to The Deck Saigon 38 Nguyen U Di which is touted as the hottest bar in Saigon. They even have a boat service from the city centre right to their doorsteps along the Mekong River. Sunday morning! Go for a morning yoga class and then head to Au Parc 23 Hàn Thuyên, a charming cafe that does delicious bagels and desserts (read review here). Skip their coffee, it was extremely diluted on my recent visit. There are other cafés in the area if you wish to try something different. 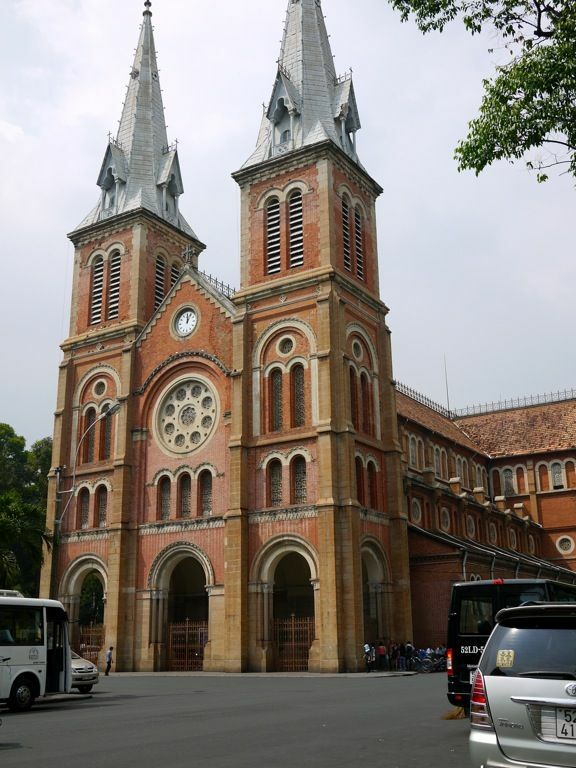 Check off some sights in the area, which include the Notre Dame Cathedral, Central Post Office and Saigon Opera House. Dong Khoi St and the surroundings will satisfy your high end shopping needs (think Chanel, Louboutins and the likes). 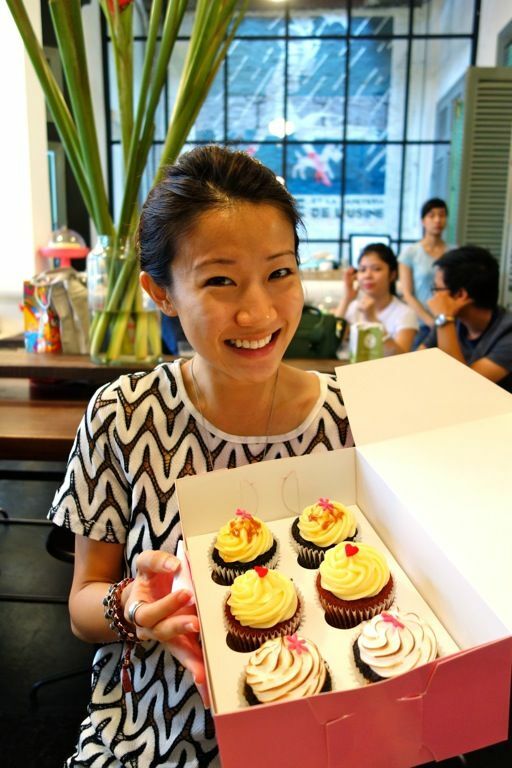 Grab a sweet snack at L'Usine (Dong Khoi Street). I always make a stop here for the best cupcakes in the world. It's not cheap but it's certainly worth every dong you have. Read review here. What's a getaway if you do not get a nice massage/spa. 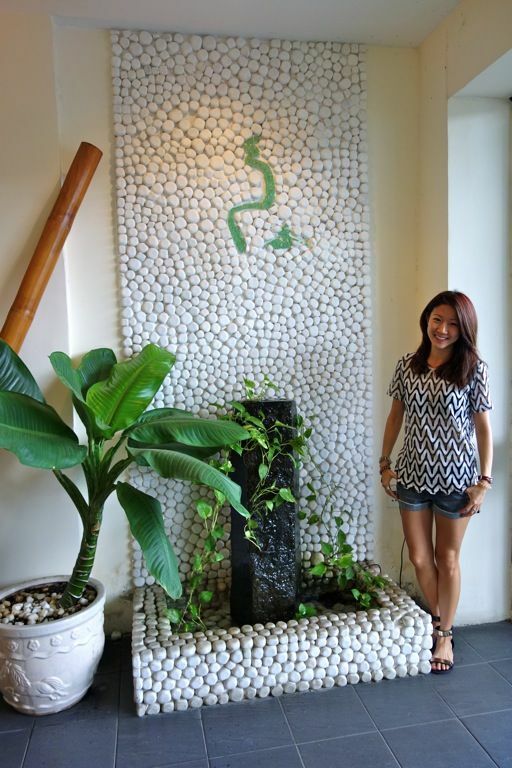 Mekong Bliss Spa 112 Pasteur St., was adequate in providing us with a relaxing experience. Their 1.5h Mekong Bliss Signature Therapy is only 798V (about S$50). They also have other packages and a la carte services. 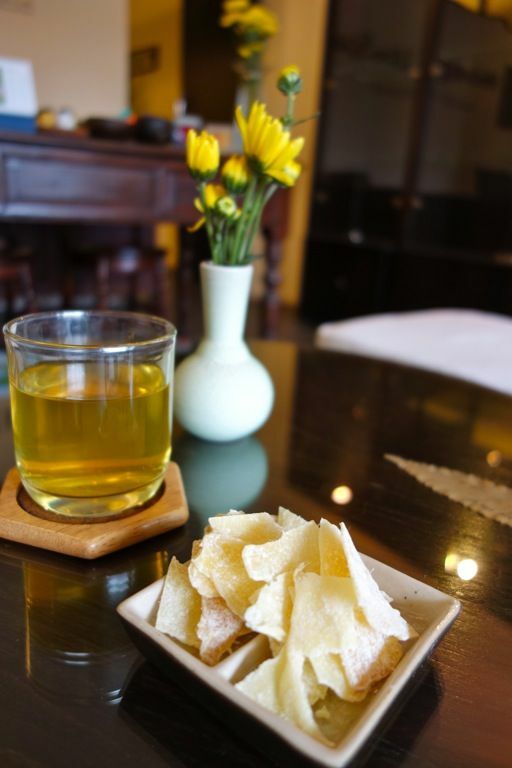 Love the hot tea and candied ginger that's served after the treatment. For a pre flight dinner, have more Vietnamese food! You got to have Goi Cuon (Salad roll with shrimp and pork), Cha Gio (Fried spring rolls) and Bun Cha (vermicelli with spring rolls or ground pork meatballs, served with fresh herbs and fish sauce) at least. Temple Club 29 Ton That Thiep St. is quite good and they do fab rolls. It's slightly more upmarket but still affordable. Brangelina dined here before. Hoa Tuc Restaurant 74/7 Hai Ba Trung St. or Nha Hang Ngon 160 Pasteur St. are cheaper options and you'll be able to get the regular Viet fare there. 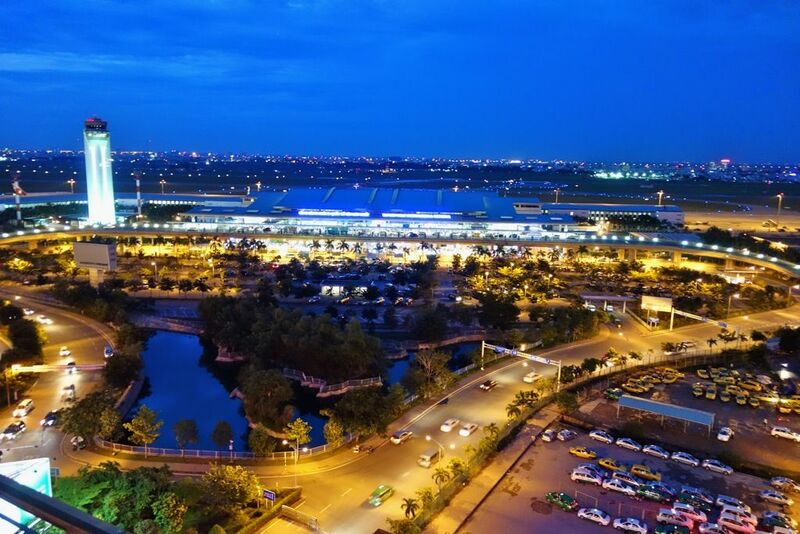 If you don't wish to stay in the city for longer, a great ore flight option is to head to the Parkson CT Plaza, a shopping mall situated 5mins walk away from the airport. Go to the rooftop restaurant for the best view of the city! I don't think you can get any closer to watching planes land and take off. This hidden find is proudly brought to you by yours truly, the kukubird gf who mistook our flight timing and we arrived 2h ahead of time. Hope you guys enjoy this 48 hour Ho Chi Minh itinerary! If you have more time for the city, you could also consider the touristy Cu Chi Tunnels (half day will do) and some other sights (skip the Reunification Museum still).